With great gardens come great responsibilities. One of these responsibilities is how you choose to protect your plants. Protect them from pests such as slugs, let's say. But using chemicals might harm not only the harmful but the harmless too. So do you want me to share you a secret on what you're supposed to do? Well, as it is in real life - if you have a problem with someone you simply let loose lions in his/hers apartment and the issue is gone. Your solution for the garden pests is pretty much the same, but it does not involve lions, nor does it sound this insane. Rodents that perambulate your garden in search of food, which you kindly disagree to share with them. The bloody slugs. No one likes slugs when it comes to gardening. Not even slugs themselves. They feel disgusted with themselves from the harm they do to the garden, yet they prefer to remain destructive and live in denial. 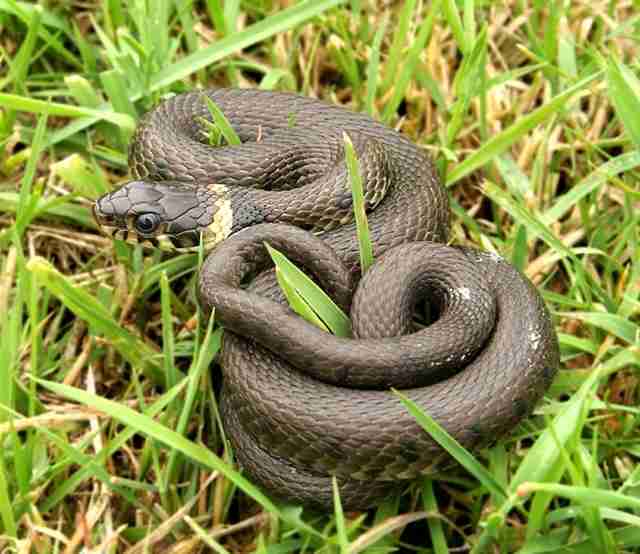 The grass snake will happily aid you in getting rid of whatever of the aforementioned (and more!) in return of a shelter on your side. Why are they so likely to visit my garden though? Because, unfortunately, as men tend to do, the natural habitat of these creatures is almost entirely destroyed by the human kind. But we could make up for our mistakes and you as a noble gardener can provide these guys with a shelter and a place to stay for a while until they continue on their life journey of constant murdering and sadness. Apparently gardens have everything a grass snake would need to be happy for some time(until it eats every slug or mouse in sight). 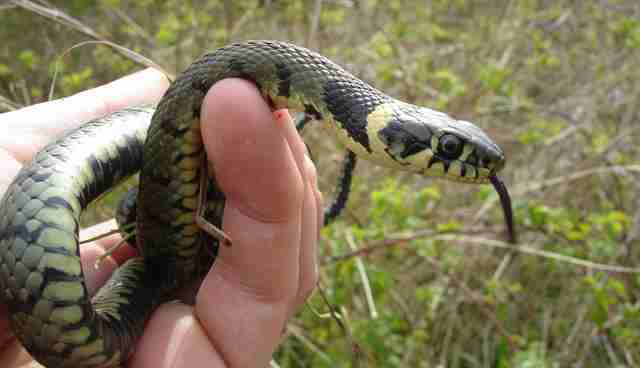 When do we want grass snakes? Now! How do we encourage them? With ponds! You simply need to build a small pond in your garden, as apparently that's the way to attract beneficial amphibians to your garden. 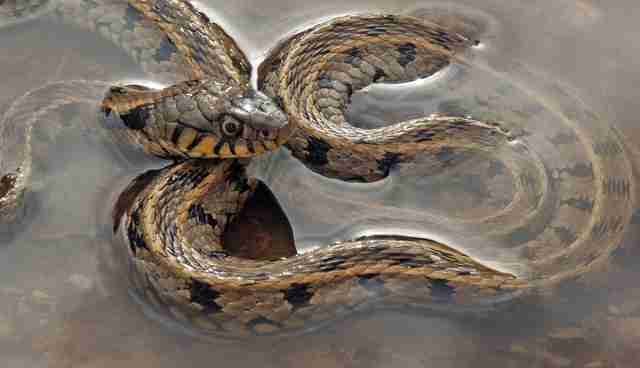 The grass snake is a huge water fan and would gladly come and take a lap or two in your pond, no lifeguard needed! They also like relaxing in compost piles as they are warm and welcoming for them*. 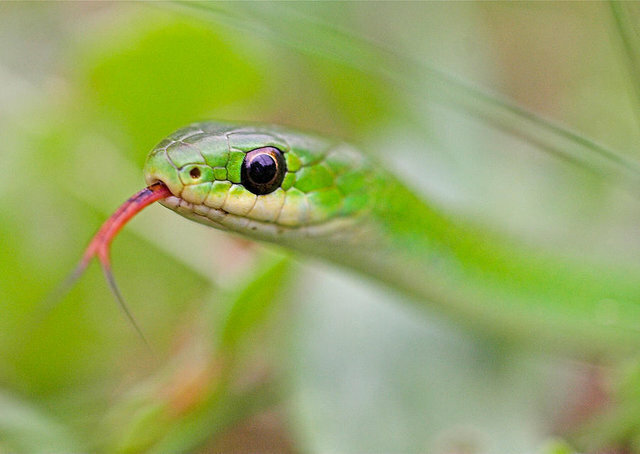 *Note: Grass snakes are the only British snakes to lay eggs, and if they decide to do so they might come to your garden and nest in your compost heap. So they will be the ultimate predator in my garden and I will have nothing to worry about? Not quite. Hedgehogs, a bird or two, foxes and even domestic cats will surely pick on "your" snake. Some might even eat it. So our advice is not to bond with it and certainly not give it names. Mother nature is cruel and you need to keep your relationship with your snake business-only. Bonus: A snake that is not actually a snake. Spoiler alert: it's not a worm either. It's a legless lizard. Not even joking. 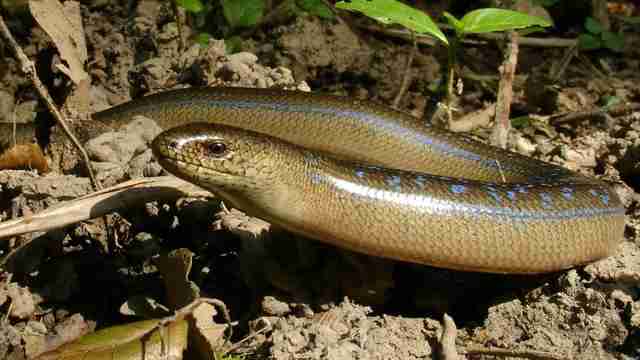 Slow-worms are amphibians that have all the characteristics of a lizard but lack limbs(which we would agree is a significant part of being a lizard, but we simply don't argue with science). What would those characteristics be? lizards can shed their tail. Despite it looking like a tail with head, biologists distinguish a body-part and a tail. 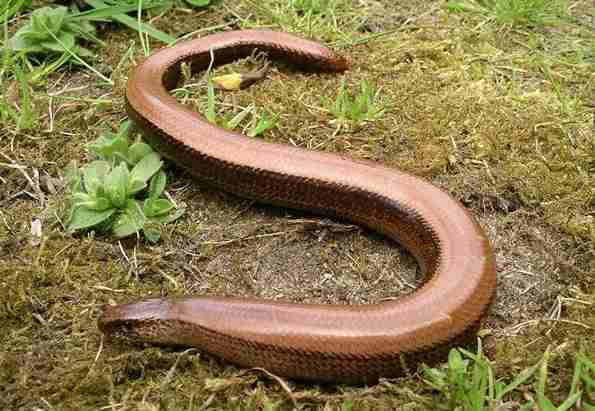 Slow-worms are also beneficial for your garden and the same rules for encouraging them into it apply to them as for the snakes. Build a pond and watch wildlife doing its wonder.